Terms of reservation - Epavlis "Kaleas Inn"
considered as a confirmation to a reservation. 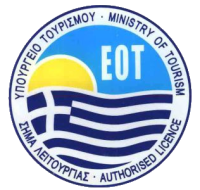 Full refund – When a cancellation to the booking has been made with a minimum of 30 days notice (from the date of check in) being given to "Epavlis Kaleas" reservation’s department. The balance to the booking is made at "Epavlis Kaleas" prior to the departure date.